The Baroque Black Rose Pendant from Prong Jewellery is a gothic, statement neckband in black rubber. 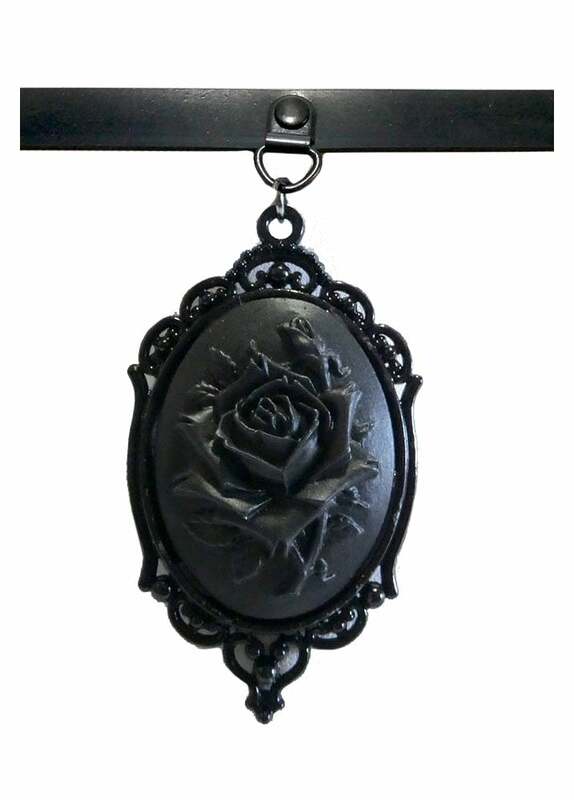 The choker fastens with a buckle and features a large, black rose pendant. Will fit a neck size between 29cm and 48cm.